Giveaway! – Open for US and UK only. Then it's back to business as usual. So have a nice summer, everyone. Keep cool, and keep reading! Yesterday on bookalicious.org, two covers were revealed from next spring's Month9Books debuts - one of them being MINE! Take a look at the post here, and for those of you who don't have time to click around, here's the cover for your viewing pleaure. :) Let me know what you think! 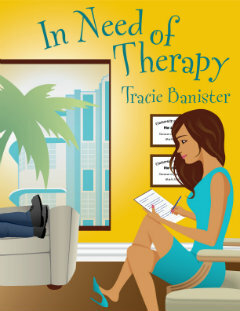 In Need of Therapy is available now at Amazon, Amazon UK, and will be up shortly at Barnes and Noble. Three Two One Pitch Contest Details! THREE - Pitch your story in only three sentences. TWO - Two days to enter: August 20th and 21st. ONE - One agent will judge and pick a winner. Doesn't that sound great? Well then get those pitches ready! Do not enter your pitch on this post. I will make an official contest entry post on August 20th, and entrants will post their three-sentence pitches (no run on sentences!) in the comments section of that post. At midnight on August 21st, I will turn off comments and no other entries will be accepted. The winner will get a full manuscript request! 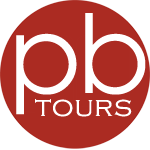 I will announce our spectacular judging agent sometime prior to the contest, so keep an eye out! So, don't forget: Three sentences, two days to enter, one agent will judge. Good luck, everyone. Can't wait to read all your pitches. See you back here on the 20th of August! So there I was, walking into the clothing store with high hopes as I headed toward the jeans department of a major retail store. As I reached the department, it suddenly occurred to me that I wasn't exactly sure which type of jeans I was looking for. There were so many different types to choose from. Did I want a pair that sat below the waist, bootcut jeans, flare jeans or low-riders that are also bootcut? I almost wanted to turn around and go back home. So it goes for many aspiring authors. There are so many publishers out there in the big world of all things literary, they simply aren't sure where or how to start the process. How did I resolve my jeans dilemma? I did some research. True story. Right there, in the department store. I read the various tags found on different pairs of jeans, until I found a description for a pair that sounded like me. Then I tried each of them on, until I was able to walk out of the store with a pair of jeans that felt as if they were meant for me — after I've lost a few pounds, of course. Going back to the journey for aspiring authors and their quest to find the perfect publisher; I would tell you to do one very important thing — RESEARCH. It's a waste of your time to blindly send out query letters to every single publisher out there. Understand what genre your book falls into, and then research publishing companies who publish that genre. Once you've found your list, look to see who the editor is that handles that genre. This is important. You want to be sure that you address your query letter to the right editor. Now, before you send out that query letter, I need you to do something else quite important. More research — on writing a "winning" query letter. I want you to try out a few that you find, the same way you would try on jeans. How? Find samples of two or three that fit your writing style and your book. Many well-known authors have published their winning query letters. I have always believed that you don't always have to re-invent the wheel. It's okay to use what is out there if it has proven to work. Now I know it's tempting to want to send your entire manuscript with your query letter. Fight the urge. Please. Keep in mind that most publishing companies only request the first three chapters of your work. Here is the last thing you want to do before you submit your query letter and the first three chapters of your manuscript to that publishing company that is going to fit your book like a pair of perfectly-fitting jeans: Have everything edited. Not by your cousin, friend or Mother (unless they're professional editors in their current secular lives). Remember, just like you want your jeans to "make a flattering and modest impression," so goes your query letter. About the Author: Marian L. Thomas is the author of three award-winning and bestselling Clean Fiction books titled: Strings of Color, My Father's Colors and Color Me Jazzmyne. There are three things that she enjoys...her husband, her dog and eating popcorn. 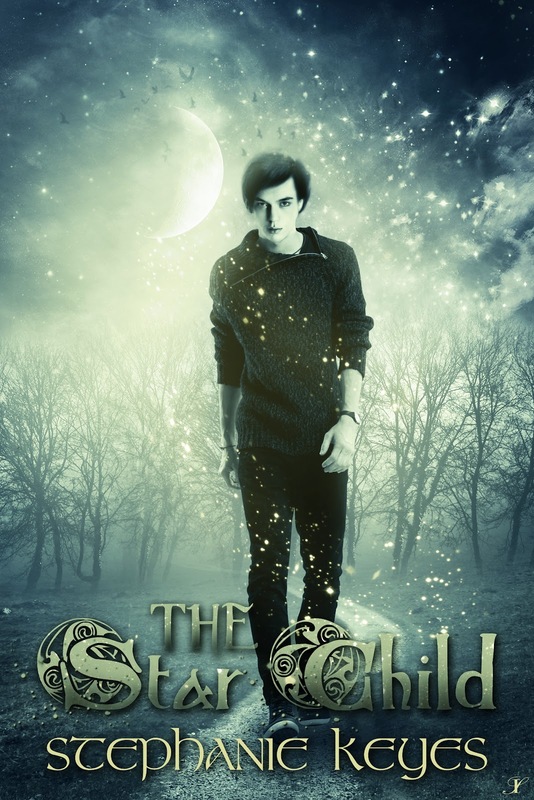 The Star Child will be available September 21, 2012 in digital and print from Inkspell Publishing. 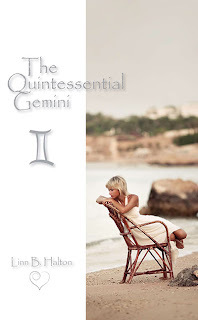 Today we're chatting with author Linn B Halton about her new book, THE QUINTESSENTIAL GEMINI, and her upcoming release, THE RESTAURANT, published by Sapphire Star Publishing. Welcome to We Do Write, Linn. Tell us a bit about yourself. When you wait a long time to find the ‘me’ time you need to write, it’s an incredible feeling when it hits you that ‘this is it!’ I never, ever doubted the day would come, but it came rather suddenly and unexpectedly. I began writing in March 2009 and wrote five manuscripts in succession, working way into the night and glued to my computer seven days a week at times. I proved to myself I could write with commitment, had lots of ideas and I am a starter/finisher, but I had no idea what came next. My debut novel came out in February 2011, but it wasn’t until December 2010 that I first heard the term ‘author platform’. At that time, with Touched By The Light due out within two months, I had to join Twitter, Facebook and set up an author website. To be honest I was struggling! I also couldn’t believe how time-consuming it was because every single step was a huge learning curve. Here we are eighteen months later and I have now signed with Sapphire Star Publishing, with two of those five manuscripts being published by them this year. Tell us about THE QUINTESSENTIAL GEMINI. What's the story about? It’s about Katherine Dale, she’s does her job a bit too well and office politics, plus new owners mean she’s suddenly replaced by ‘one of the boys’. She lived her life for her work, love interests came and went over the years with no one setting her alight. All she has left is a roof over her head, some modest savings and cat named No. 4. She decides to sit down and write a book, partly because her confidence is badly dented and in a way she’s trying to hide from the reality of what’s happened. The fact that she lives her life according to her daily horoscope (and has done so for over twenty years) leads to fun, laughter, tears and ultimately, we hope, love. The path isn’t smooth and as she anxiously seeks direction it becomes clear that the person writing those horoscopes is someone new. The revered astrologer Mark Ainsley-Thomas has to make more and more person appearances in the UK and US. His new Agent is pushing what has become an A-list celebrity status, so he takes on James Kingman to help out on the website. James arrives on the scene in a very vulnerable state – recently having lost his business, all of his money and the lady in his life. He is a talented astrologer, but his style is very different to Mark’s. Then he meets the angry and desperate Katherine…the sparks begin to fly! Well, I’m a Gemini and for over twenty years … (laugh)! Yes, I am a Gemini and I do follow my daily horoscope, so each night before I go to sleep I read my forecast for the following day. I like having an indication of what might happen and there have been many times when I’ve delayed doing something, or re-thought something based on what it tells me. One night the thought just popped into my head – what if someone really DID try to live their life based around what the stars had to say? Of course no one can lead their life according to their horoscope, we all read things in a very different way and often there is more relevance in looking at them with hindsight. I think a lot of people read their horoscope hoping to get answers to questions, or an indication of solutions to come for problems they’re facing. So it’s only natural to read something and interpret it in quite a narrow way, simply because you want to make it fit with what you WANT to happen. 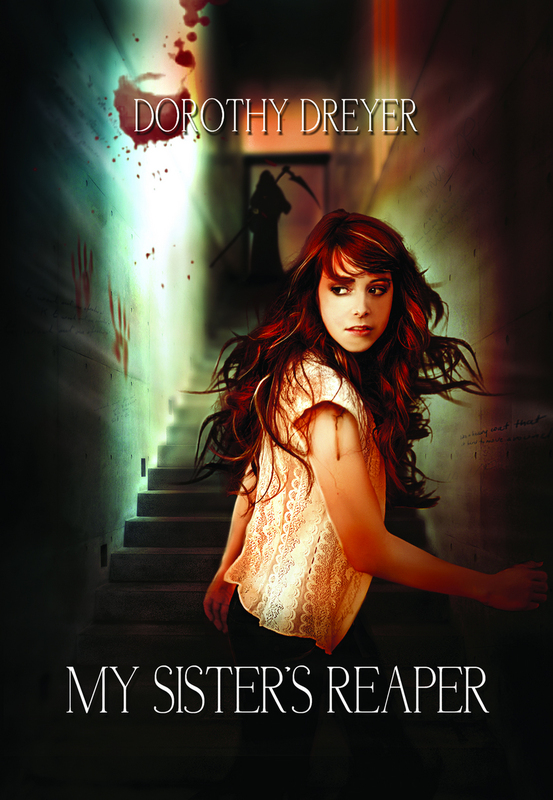 There lies the danger… and that’s what made Katherine so much fun. Tell us about THE RESTAURANT and what inspired you to write it. My real-life favourite restaurant is a wonderful little sanctuary. It’s somewhere my husband and I go for ‘date night’ to get away and have some alone time together. It was the ambience that I feel whenever we go there that first sowed the seed of this story. I know one half of the couple who run it very well, we used to go to the gym together so often our travel time was spent talking about table bookings, staffing etc. All front-of-house day-to-day things. It gave me a glimpse behind the scenes and what began to spark my curiosity was that I knew very little about the Chef, secreted away in his own little domain creating all those wonderful dishes. The story of Hilary and Ben is the story of two people joined by a passion – the restaurant business, but both had reasons why affairs of the heart were never going to be simple. The story revolves around the The Restaurant @ The Mill as Hilary and Ben find the perfect location to set up their joint venture. Their story is intertwined with another five cameo stories based on regulars who dine at the restaurant. Having written five manuscripts, four of which were novels, I realised that there were some ‘side’ characters whose stories were never taken to their final conclusion and so I’ve taken this opportunity to complete them within this novel. My tidy mind doesn’t like to leave things part-done and it was a very satisfying journey for me to write The Restaurant. There is also a lonely spirit who wanders around the wonderful old Mill, and the reader has a glimpse of what might lie behind her presence. When will THE RESTAURANT be available? Sapphire Star Publishing are releasing it on August 2, 2012 and preparations are in full swing. As a Gemini with borderline OCD, I’m both. I plan to the most minute detail, but also because I never say one word when I can say (or write) twenty, I ad-lib as the same time. I recently had to do a five minute slot at the start of a reader/writer event and over-ran by ten minutes. I think that’s why I’ve never enjoyed writing short stories and why I knew I had to wait until I had uninterrupted writing time, as it was always going to be an intensive and compulsive thing! Lack of sleep in order to pack in everything I want to do. I’m usually an eight-hours a night gal but frequently have to manage on four. Sometimes I work right through and try to cat-nap the next day then catch up with a full night’s sleep the following night. Life is short and I don’t intend wasting one precious moment of it. Coffee. My cat. Sometimes chocolate. Peace and quiet – I’ve had conversations with my husband whilst my fingers have continued flying around the keyboard and I’ve made responses that I often can’t remember afterwards. I recently (apparently) listened whilst he extolled the virtues of a very expensive new camera and agreed he should buy it - I couldn’t recall he’d even mentioned it! It was the same with a holiday he booked for later this summer and … oh, I think he’s sussed how to get a guaranteed ‘yes’ from me – clever! To have the time to be there on EVERY occasion for people who need a bit of support; whether it’s listening to a problem, doing something for them, or just giving a hug. The drawback of being super busy and having your head buried in a life-time passion, is that sometimes you forget to look out the window! I hope I get the balance right most of the time and that those I love and care for forgive me when I miss something. Drifting. One of the characters in The Restaurant is into this sport, it involving sliding cars at high speed without putting them into a spin. It’s weird for me as I only drive when I have to, a car is simply a method of transport and I have no knowledge or understanding about them – I describe them as ‘big’ or ‘small’, or by colour, never make and model. Laugh! I also get lost frequently when I drive and am always doing U-turns. If I consider ‘weird’ in another sense though, some people find psychic things a little ‘out there’ or beyond belief, but as I am a firm believer now it never feels unusual to me. Most psychic things I mention in my novels are things I have personally experienced, it’s so much easier to write with conviction when you’ve seen it with your own eyes. However, for my debut novel I did have to do a lot of research about near-death experiences, to supplement something I had myself witnessed when I was with someone who nearly died. At the time they were telling me what was happening from moment-to-moment but I wasn’t a true believer at that point, so it was a very frightening thing to witness. Quick writing test! Use the following words in a sentence: diluted, despicable, and dementia. How can he take my words and repeat them in such a diluted, despicable manner – when love dies there is a guilt and I see now the spark has died within him, it’s like a form of dementia as he tries to rationalise his actions. For me it’s all about the other people who have helped me, so it’s a case of where to begin? You might regret having asked me this question, but I can only answer from the heart! Wonderful people like yourself who take the time to spread the word about new, fellow authors. My two writing families – my colleagues at SSP and the whole team at loveahappyending.com, I have learnt so much because of these people and grown because of the support they have given me. My wonderful husband and family for putting up with me, when I’m always on the PC. Three individuals who have kept me going – Shaz Goodwin, Lou Graham and Kim Nash. My first fan – Susan Livingston. She’s a lovely lady who has been so encouraging. In truth this bit is so hard, because the list is endless – it’s still a thrill every time I read a review or get an Email from a reader. Every writer longs for one thing, to be read and my dream is slowly beginning to come true, thanks to wonderful readers who take a risk and pick up a book by an author they don’t yet know. How incredible is that? I would also like to say a HUGE thank you, Dorothy, for being the perfect host! I bet you are so excited about your debut novel My Sister’s Reaper, due out on May 29, 2013 from Month9Books. Looking forward to it and wishing you all the best! Thank you so much, Linn! It was great having you as a guest today. I wish you lots of success with your books! 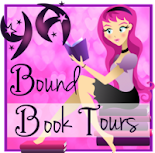 If you're not familiar with the Friday the Thirteeners blog, it's a site run by authors whose books debut in 2013. They play a game, Truth or Dare, where authors can guest blog or vlog with their choice of a truth or dare submitted by readers. I was going to take the truth, but then my creative side wouldn't let me be so tame. Happy Monday, everyone. Hope you've been enjoying your summer and withstanding the heat. Let's start the week off on a good foot by indulging in an interview with author Mandy Baggot. Welcome, Mandy! Tell us a bit about yourself. 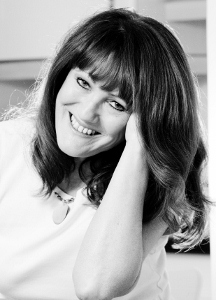 I am a married mum of two wonderful daughters and a full-time author. 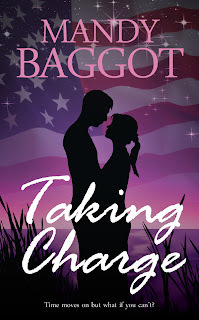 I have published four novels with the assistance of Feed A Read and the Arts Council of England (Excess All Areas, Breaking the Ice, Knowing Me Knowing You and Strings Attached) but in January 2012 I signed with US publishers Sapphire Star Publishing for my latest novel Taking Charge. Following that I became a full member of the Romantic Novelists Association. I write strong contemporary romance and characters you’ll fall in love with. I’ve been writing since my school days. I always had a keen interest in creating stories and scripts and used to write tales involving my friends and the latest hot pin-ups of the time. Life did get in the way of my writing for a while but after the birth of my first daughter I put pen to paper again and haven’t looked back. Tell us about TAKING CHARGE. What's the story about? 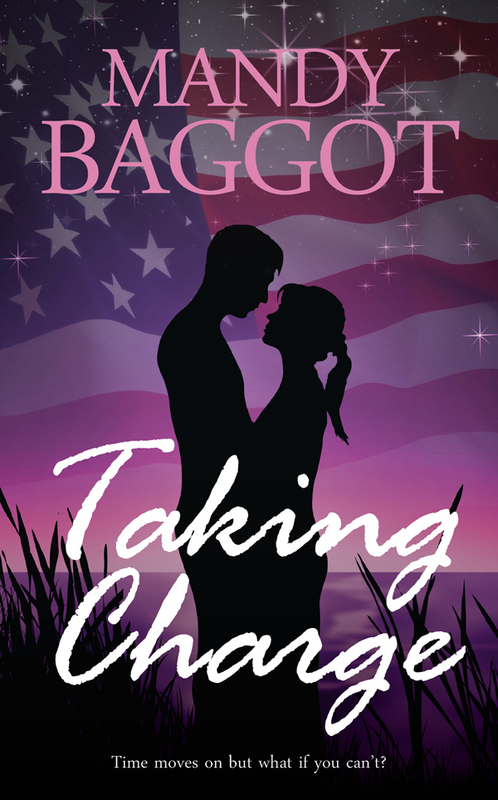 Taking Charge is Robyn and Cole’s story. Robyn travels back to the US from the UK when her father falls ill. On the plane she meets a hot guy (Cole) and embarks on a journey that involves her running a roadhouse, managing an ice hockey team, dealing with her past and trying to fall in love. It’s a story of love and relationships and how these mould us as people. There’s also a lot of humour in there too! My dad lives in Michigan, where Taking Charge is set, and I went to stay with him back in 2010. I think I was there all of a couple of days when the idea for Taking Charge started to form. Once I’d been to see the ice hockey almost everything fell into place! I hope I did the town and the community spirit of the town justice in the novel. Pantser! The only plan I have is the beginning and the end. I have my characters, I know where they’re going to end up but how they get there is 99.9% up to them. I just keeping writing and take my direction from them. I recently heard of another writer who not only plans what is going to happen in each chapter but writes that all down, along with who else is going to be in scene etc. I couldn’t imagine doing that, for me that would take the whole element of surprise out of it and my characters do surprise me! They’re the ones in charge, not me! Never having enough time to actually write as much as I want to write. I am lucky to be able to write full time but there are still not enough hours in the day to actually dedicate to creating something new. As soon as I get into it it’s time to collect the children or perhaps I have a meeting, the day just isn’t long enough. I totally agree. *sigh* What do you absolutely have to have nearby when writing? A cup of tea and a glass of water. Once I get into my writing hours can go by and I haven’t moved, or drunk any fluids or anything so I need to have fluids near by to stop me dehydrating! I have to remember to look up and see they are there though! To make time stand still (see above!) or to control the bestsellers chart on Amazon – that would be fun to play with! LOL, that would be fun. What's the weirdest thing you've googled? Are artichokes good for you! That’s one I can remember and I also googled ‘does Pitbull have a girlfriend?’. I don’t know why I needed to know but I did and I didn’t really find out. Does anyone know? I google lots of random things! Quick writing test! Use the following words in a sentence: life support, mediocre, and flabbergasted. She was flabbergasted that the life support worked, given the worse than mediocre quality of the hospital food. I would like to thank everyone at Sapphire Star Publishing for all their help and constant support. I would also like to thank all my fellow authors and associate readers at Loveahappyending.com especially Team Baggot. And last but by no means least I want to thank everyone who buys and reads my books – if you didn’t love them I wouldn’t be writing them and I am so grateful. Thanks so much for chatting with us today, Mandy! Much success with your books! UNCONTROLLABLE, Book 2 in The Nature of Grace series by S.R. Johannes, is set for release on Sept 24th. I'm happy to be part of the cover reveal. 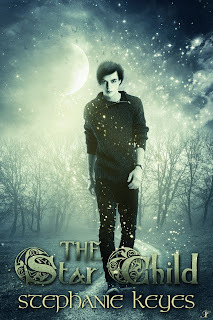 So without further ado, here is the fab cover of UNCONTROLLABLE. Isn't it gorgeous? I think it's eye-catching and ties in wonderfully with the cover of UNTRACEABLE, book one in the series. Check out S.R. Johannes's blog here to keep up with her writing. Keep reading to find out how to win a signed copy of the book! Happy Friday, everyone! Today we're chatting with author Michele Kallio about her book, BETRAYAL. Welcome, Michele! Tell us a bit about yourself. I am a former teacher/librarian and retired medical office manager. I live in Canadia's picture province of New Brunswick, home to lighthouses, covered bridges and the world's highest tides with my physician husband, David, and our 11 year old golden retriever Sara. I would say I have been writing for more than a third of my life. I began writing short stories in high school but set it aside to raise my family. Now that I am retired I have taken it up again. Tell us about BETRAYAL. What is the story about? BETRAYAL is the story of two women seperated by thousands of miles and almost five hundred years., told in alternating chapters. Modern day Lydia is trying to cope with frightening nightmares that she doesn't understand and the impact they are having on her life. Elisabeth, is a sixteenth century woman living in Cardinal Wolsey's household whose life changes when she meets Henry VIII and Anne Boleyn. 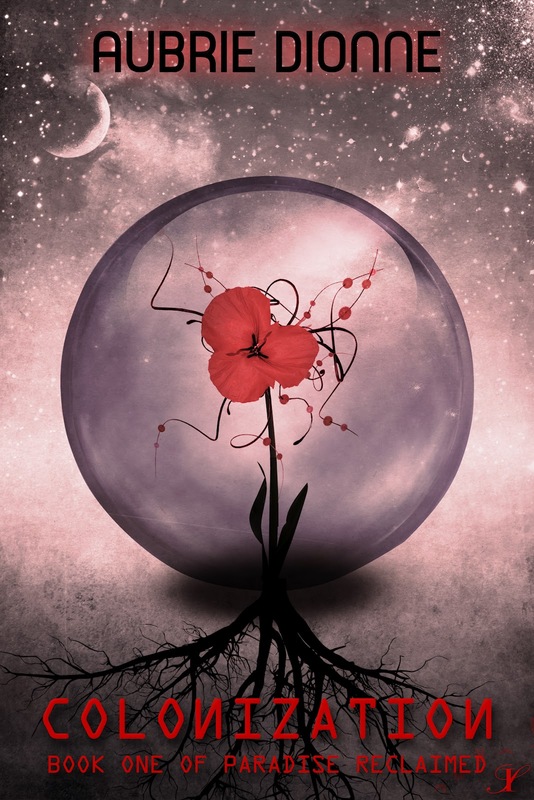 The two worlds collide in Lydia's dreams and when Lydia begins have 'waking dreams' which start affecting her relationship with her physician boyfriend, Dan, she realizes she needs help to get to the bottom of what is going on. Dan persuades her to see Dr. Alan Stokes, a psychologist and dream specialist who has experience in regression hypnosis. Will he be able to help Lydia understand why she is reliving Elisabeth's life and what the horrific image of the severed head is all about? 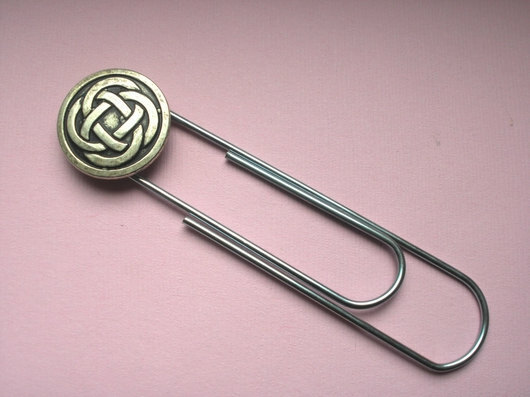 BETRAYAL grew out of my pen-pal friendship with Christine Ware, of Devon, England. I had written a short story telling about the two women for a writing course I was taking. Christine encouraged me to enlarge the story. In fact, Christine became my eyes and ears in England, taking me to many of the places mentioned in the book and helping me with all things English. Do you have a critique partner or beta readers or do you self-edit? My husband, David, the light of my life was my line-editor. Christine, of course, helped with English speech and mannerisms and alll things English in Tudor and modern times. 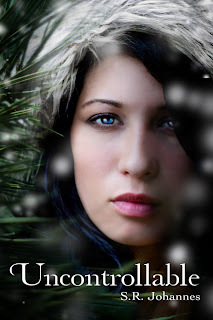 My friend Geramine Chevarie was my beta reader, as each chapter was written she would read it, and her comments helped me make it so much better. Are you are planner or a pantser? What a delightful question! I would say I am definitely a seat of the pantser when it comes to writing. Although I do write biographies for my characters, I allow them to take shape. Dan, for instance, turned out to be his 'own' man thus turning out to be a very different character than I had envisaged. As I live in a very rural area, access to research books has been difficult. I have had to purchase most of my research books. I now have more than two hundred books in my personal library on the Tudors alone. I must have a dictionary and a thesaurus nearby when I am writing. Often I will have the latest biography of Anne Boleyn handy to cross-reference. As I write about two different time periods (modern day Canada and 16th century England) there are always maps handy and location reference materials as well. Oh my, a super power? I think that would have to be the ability to time-travel. I am a history buff, I love history but especially English History. I would dearly love to be able to transport my self through time, but I would want to be protected so that I would not/ could not change history. What was the weirdest thing you've googled? I have googled gyspy love potions and charms as well as curses and spells for research on gypsies for my book. Quick writing test! Use the following words in a sentence: opportunity, bazaar, and suspicious. In the grand bazaar in Istanbul, she had the opportunity to bargain with merchants, keeping a suspicious eye on the price. Here's the part where you thank the people who are supporting you. Let's hear your shout-outs. 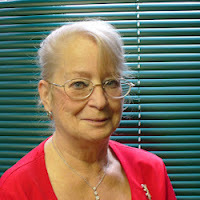 First and foremost I would like to thank Christine Ware for all her loving support and the energy she expended in helping me to research both Tudor and Modern England...without her, our story would never have been told.! Next of course must be my husband, David, for without him there would be no book! His loving support allowed the time I needed to research, write, re-write, research and finally polish Betrayal. I want to thank Germaine for being my first reader and all the support she gave me over endless cups of tea! And of course I want to thank Steve and Lucy, of Boston, who continue to believe in my book and me. Thank you all! And finally where can people find your book online? http://www.amazon.co.uk/, http://www.amazon.de/, http://www.bn.com/, and numerous other online booksellers worldwide. 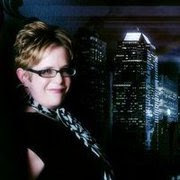 Check out my website at http://www.michelekallio.com/ for further information and reviews. Thanks so much for chatting with us, Michele. I wish you lots of success with BETRAYAL. Thank you Dorothy for the opportunity to have this interview with you!